Asiakaskohtaisen kurssin hinta muodostuu kiinteästä kouluttajan hinnasta. + matka- ja majoituskulut jos toteutus pääkaupunkiseudun ulkopuolella. This simulation is a powerful way to stimulate a new way of thinking within the IT Organization. It can help create a dialogue and it helps employees better understand how to improve their own way of working from where they are now (traditional Service Management) towards a more Agile Service Management approach, not as a large implementation project but in small incremental steps and based on their own motivation. This simulation is a GamingWorks product. Built by the developers of Apollo 13 and The Phoenix Project. This simulation is designed for roles inside and outside of IT. Since this simulation is aimed at exploring and experiencing a new way of working this simulation does not require any specific knowledge to participate. Employees of IT (Operations) teams can explore how a more service oriented way of working can make their work more enjoyable and better. IT managers and team leaders can learn how to coach and facilitate their teams towards high performing teams. Development teams can experience how to work together with IT operation teams. Business roles can experience how their roles may change if the organization starts to work in a more Agile and Lean way of working. ITSM specialists can learn what ‘Agile Service management’ means. How to make ITIL more responsive and fit for use in this new environment of rapid, unpredictable change in which solutions must be deployed rapidly, yet safely. This simulation also helps IT Operations teams to take the next steps towards alignment with the DevOps philosophy and ITIL Practitioner guiding principles. Basic understanding of IT service management. This is a one day workshop 1 full day for 10-14 participants. The simulation consists of 4 rounds. Each round will reflect a part of the mission. The team will start with a traditional structure. There will be a Service Desk and first and second line support. The first actions are focused on getting a clear picture of the current Service requirements of Mission Control. There is also a backlog of issues from the test- phase and the Development Team is working on the final application. The Service Manager will define the required services and the agreed KPI’s. In this round, the flight plan will bring the space craft in an orbit around the Earth and on a flight path towards the tail of comet Hardy IV. The mission must collect valuable date from Hardy IV and send it back to Earth so that Universities and research centers can study this data. The Customer may raise new demands, issues will occur and the flight course may have to be changed. After this round, the team will explore opportunities to improve and design the next ‘release’ of the service. The team has made changes in the way of working, made updates in their services and has responded to the changing demands from Mission Control. In this round, we introduce the concept of Service Teams. The team will experience how teams can increase flow, avoid rework and will create better and faster responses. The flight will reach Mars and the Spacecraft will have to make two orbits around Mars to collect new data. But how do we respond if the customer suddenly wants 4K movies from the landscape of Mars and a different format of graphical output of the data? Did we integrate the vendors in our teams? Did we implement some service automation solutions to increase our performance? Can the teams respond rapidly ‘end-to- end’ to deploy a manageable solution? If not, we may have to update and improve our services. After the final improvement cycle, we are fully prepared for this final round. collect as agreed and on time? Did we align with the vendors to be sure we have enough capacity to send and store data? Did we deliver all requested features on time and are we able to support them? Did we improve the multifunctional teams by sharing knowledge and experience? This round is the last opportunity to achieve our mission goals before we put MarsLander into sleeping mode. This is the moment to celebrate the success of the mission. 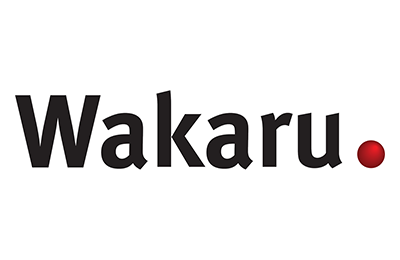 Simulation will be delivered by accredited and certified Wakaru trainers. 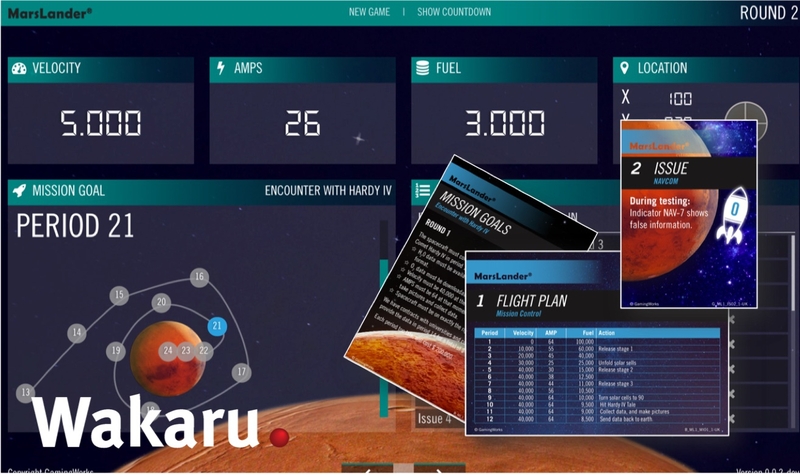 Simulation will be run in a class room with MarsLander® equipment. Which Aspects will you experience during this simulation? How can service teams help and how to create high performing teams? How can we visualize our work, using KanBan? How can we increase the flow of work? How can we integrate vendors into our services? How to work closer together with development? How to continuously improve our services? How to become a flexible service organization that respond rapidly to changing demands? How to become more customer focused, and develop this ‘customer thinking’ into our teams? How to effective manage workload (end-to-end) and how to reduce unplanned work? How to increase customer and employee satisfaction?